Growing up with a Chicago Police Sergeant for a dad was the most normal thing in the world for me. In my South Side neighborhood, it seemed everyone’s dad was either Police, Fire, or Streets and San. As kids, we all understood the need to keep quiet in the house because Dad was sleeping, whether it was our own dad or our friend’s down the block. Oh sure, there were kids I knew whose fathers had other jobs. Business kind of jobs. Insurance or something. I never really knew what they did, but they wore dressy kind of clothes. Not uniforms. But no one’s dad had a better detail with the CPD than mine. He was in the Task Force, later named Special Operations. And for my siblings and me, it was our way of life. My dad worked all the ball games and special events in Chicago – the White Sox (yeah, that’s right – I listed the Sox first because we were South Siders through and through and in MY blog, they get listed before the Cubs), Bulls, Blackhawks, Fire (that was soccer, for anyone who cares) and, yes, the Cubs, along with the Barnum & Bailey Circus, Ice Capades, and all manner of concerts, theater and parades. Oh, and riots too. The scary kind. He was injured working the 1968 Democratic Convention. I remember seeing my mom crying as she watched the news coverage that night. I was just a little kid back then, but I still remember that. Without question, the best part of my dad’s job was going to all the ball games he worked, often when my mom was at work so he was kind of babysitting. And he was a great babysitter. He’d bring my brother Paul and me into the stadium and sit us down in random seats. As people arrived with tickets for said seats, we’d just bop around the park and find somewhere else to sit. We knew if we needed our dad for anything, we could just approach any police officer and ask for him. But that rarely, if ever happened, mainly because most of my older siblings also worked at the games. My brothers John, Dan, and Tom were vendors at the games and my sister, Mary Beth, worked at Cubs Park (Cubs Park, never Wrigley Field. Sorry, Purists) in the disgusting bowels of the park known as the Coke room (which had about a 2 inch layer of sticky Coke on the floor) and the Beef room (which was about a billion degrees). As far as I know, my oldest brother, Kevin, managed to escape those coveted jobs. But I could be wrong… I just know that Paul and I were the beneficiaries of everyone else’s hard work. One of the coolest things, though, was after the games, my dad would bring us to the door where the players would exit the park so we could get autographs and pictures with them. And they were always happy to do that. Well except for one time when my sister called out “Hey Peppy” to Joe Pepitone and he did not like that. We’ll just leave it at that. Maybe he’d had a bad game… It was a different era, that’s for sure. Professional athletes back then were approachable and happy to put a smile on a kid’s face. I can also remember cold winter nights my poor mom would get a call to bring the kids to the Chicago Ampitheater so we could see the circus. She’d have instructions to meet him at such and such intersection to make the drop. On one occasion, we were parked at the predetermined corner only to find my dad involved in a “scuffle” with some thugs. My mom was like, “Are you kidding me?” but we thought it was pretty cool. My parents are no longer with us but, man I’ve got great memories. What sparked this post was the announcement of the passing of Chicago Blackhawks great, Stan Mikita. 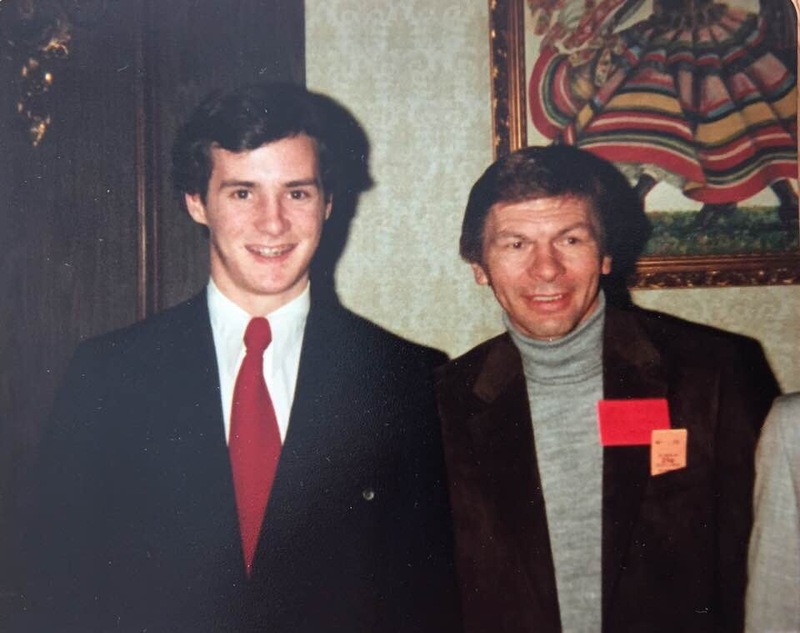 Pictured at the top is my brother, Paul, circa mid-late 1970’s with the legend at an annual Blackhawk dinner that my dad treated the boys to. Yeah, life was pretty sweet for the kids of a Chicago Copper. Never a cop. Always a copper. But what sparked this post, was a sudden flashback that occurred while I was quietly sitting in the back seat of our car on the way to a movie (the position to which I’ve been relegated since the boys have been home), lost in my thoughts, when I noticed the license plate of another car one lane over. My breath caught in my throat when I saw the number on the plate: 1526. An ordinary number to most, but my eyes began to well-up at the sight. I hadn’t thought of that number in years. I immediately texted my brother, Paul, to confirm. And, without delay, he responded that, yes, that was the number alright. Fifteen-twenty-six was a venerated number in our home growing up. It was my dad’s star number. 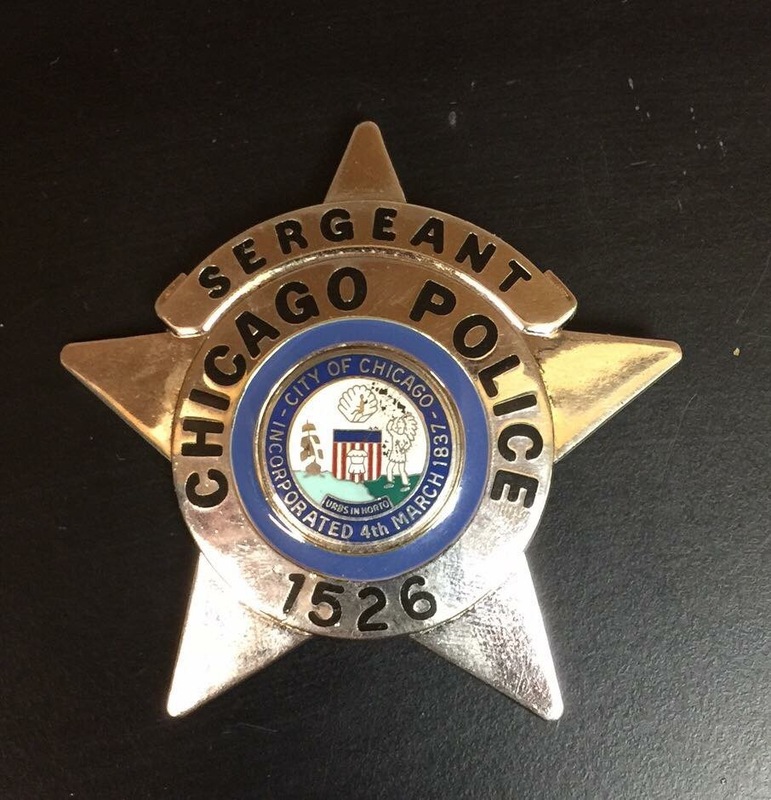 He was a Chicago Police Sergeant and proudly wore that star for thirty years. After his death, my brother, Tom, had a necklace made for my mom with a CPD star pendant and, you guessed…it was star #1526. Paul and Tom have since followed in our dad’s footsteps, honorably serving the people of Chicago. And, devotedly worn on Tom’s uniform, is Star #1526. My dad’s star. I remember, when my dad would leave for work, he’d give me a kiss and I’d tell him to “get the bad guys.” In his uniform. With that star. Death may separate us physically from our loved ones, but never in spirit. And, sometimes, we even get a physical reminder of their beloved memory. Love you and miss you Mom and Dad, but you already know that. I tell you everyday.